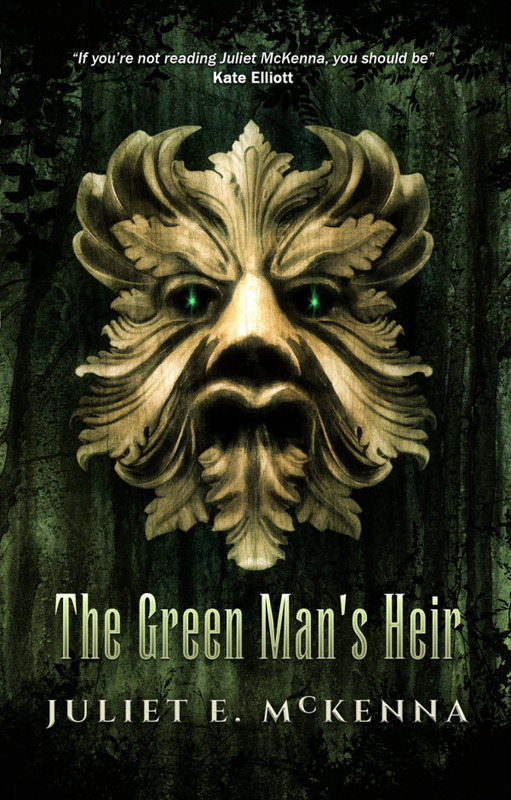 The Green Man’s Heir was different. 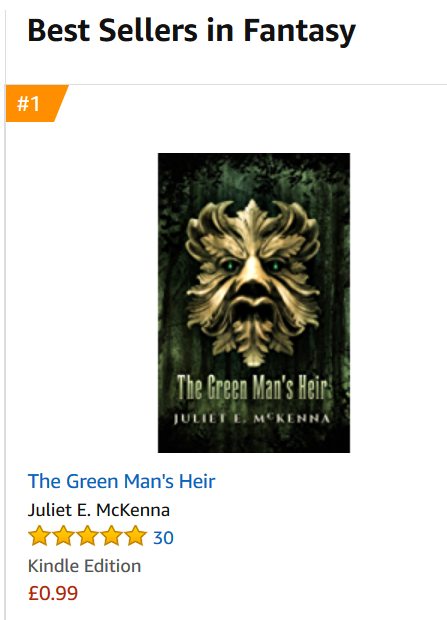 It was a brand new novel, something we had never done before, but from our best-selling writer, Juliet E. McKenna. I hoped it would do well, but didn’t have huge expectations. I was really pleased by how well it was selling. What I didn’t expect was what that would lead to. Someone at Amazon clearly noticed that the book was doing very well, and that it was getting stellar reviews. 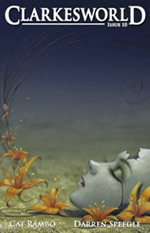 They offered us the opportunity to be part of a promotion, though without giving much detail. I asked Juliet and she said yes, so we signed up and a week or so later we got an email saying that the book would be a “Daily Deal” at £0.99 on August 13th. Just the UK, one day only. Does that make a difference? That, of course, is a result of numbers. 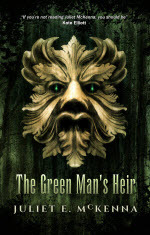 Looking at the sales numbers, I am now confident the The Green Man’s Heir will sell 3000 copies today. No, not that it will pass 3000 copies lifetime, it will sell over 3000 copies today, which will mean it is heading for 5000 copies lifetime. The really interesting thing about this, however, is that the vast majority of the sales, both prior to today and during today, have been in the UK. US sales haven’t really taken off. The Daily Deal promotion is UK-only, but Amazon US have chosen to put the book on sale. Kevin reports that it is $4.16, down from a list price of $5.99. So why not get in on the act, America? Find out what thousands of British readers have been getting excited about. UK readers, if you don’t have your copy yet, you can get it here. 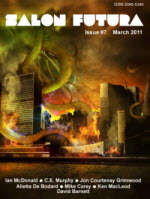 US readers, the link for you is here. Paper copies are available from both stores. If you are going to be at Worldcon you will be able to find the book in the Dealers’ Room on the Cargo Cult table. 1 Response to Best Seller! I hope this means a sequel will be possible!